Nat­ural min­er­als give long last­ing cov­er­age. Min­eral Make up gives a light­weight nat­ural feel that allows your skin to breathe, unlike talc-based prod­ucts that can clog pores and dam­age skin. That is why I was ecsta­tic to find Orchid Blue Min­eral Cos­met­ics!! Tra­di­tional makeup is loaded with harm­ful chem­i­cals that will clog your poors. Min­eral makeup is the most nat­ural makeup you can get. There are not any fillers such as min­eral oil or FD&C col­or­ings or perser­v­a­tives. The base ingre­di­ents of all Min­eral Makeup is Tita­nium Diox­ide ‚Zinc Oxides, Iron Oxides and Mica. Tita­nium Diox­ide is con­sid­ered an anit inflam­ma­tory so it will help sooth the skin. Many doc­tors have stated that Min­eral Makeup is non comod­e­genic which sup­ports the claim that it will not clog your poors. Some with acne have found less of an irri­ta­tion using Min­er­als. Another sell­ing point for Min­eral Makeup is the sun pro­tec­tion. Usu­ally there is a nat­ural rat­ing of about SPF 15. This is due to the high con­tent of tita­nium diox­ide and zinc oxide. Tra­di­tional make­ups have harsh chem­i­cal sun­blocks. Min­eral makeup is sheer and yet has incred­i­ble cov­er­age. Some times you will hear the com­ment you feel like you have noth­ing on your skin. With today’s fast pace woman min­eral makeup is the choice for a beau­ti­ful healthy makeup! Orchid Blue Min­eral Cos­met­ics are light and airy when applied. You do not feel like you are wear­ing a mask or a heavy layer of make-up that you feel when using other non-mineral make up prod­ucts. Min­eral make up has a weight­less feel­ing that many women say feels like they are not wear­ing any make up at all. Women with oily skin find that min­eral make up to be a good foun­da­tion for their skin issues. Since min­eral cos­met­ics have no oil in them it makes a per­fect solu­tion for oily skin. Some of the ingre­di­ents in Orchid Blue Min­eral Cos­met­ics help absorb the oil in the skin keep­ing it look­ing fresh all day!! I was excited to be able to review their awe­some foun­da­tion, gor­geous coloured shad­ows, and a phe­nom­e­nal pot gloss called “Vixen” which I am absolutely crazy about!! I had a chance to wear all of it last evening, and my skin both looked and felt great!! Shop­ping at Orchid Blue Min­eral Cos­met­ics is a com­plete snap as every­thing is so neatly cat­e­go­rized on the left hand side! I give Orchid Blue Min­eral Cos­met­ics a huge thumbs up as they have the best min­eral cos­met­ics out there anywhere!! And all in the winner’s very own choice of colours!! SWEET!! 1) Head on over to Orchid Blue Min­eral Cos­met­ics and check out all of their won­der­ful prod­ucts! Please let me know what you would love to have! “Like” Orchid Blue Min­eral Cos­met­ics on Face­book. 2 entries, leave 2 com­ments! Leave a mes­sage on their wall that you came from Cool­Canucks! Pur­chase from Orchid Blue Min­eral Cos­met­ics for the dura­tion of the give­away and get 10 extra entries!! Just tell me in a comment! A HUGE thank you to Orchid Blue Min­eral Cos­met­ics for spon­sor­ing us with this GREAT Con­test here at CoolCanucks!! Thin­ning of the skin under the eyes. Works on puffi­ness under the eyes. The results are amaz­ing with each use! This eye cream is some­thing that I now can­not live with­out!! You MUST try this and see for yourself!! Vas­anti Cos­met­ics also car­ries many dif­fer­ent shades and colours of phe­nom­e­nal lip­stick! I was sent a gor­geous Ultra Luxe Lip­stick with Pep­tide Tech­nol­ogy in the shade called “Kenya” which is a rich plum mauve! I love the way it feels on my lips, and bet­ter yet — I love the way it looks!! •Key Ingre­di­ent: Palmi­toyl Oligopep­tide — helps to increase lip vol­ume, reduce the appear­ance of fines lines and smooths the lips sur­face. Vas­anti Cos­met­ics also sells gor­geous shades of blush, eye­shad­ows, mascara’s, con­ceal­ers, foun­da­tions, eye­lin­ers, face pow­ders — and the list hon­estly goes on! Shop­ping on their web­site is a com­plete snap, as every­thing is so neatly cat­e­go­rized for you! Their cus­tomer ser­vice skills as well as deliv­ery time were also beyond outstanding!! 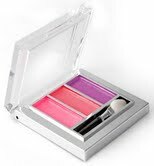 “Made in Canada, and founded by three Cana­dian women, Vas­anti rec­og­nizes that women have dif­fer­ent needs when it comes to their makeup and have embraced an atti­tude of inclu­siv­ity in devel­op­ing light-weight, easy-to-use prod­ucts for all women. From highly pig­mented shades to sheer washes of colour, from porce­lain foun­da­tion to rich warm hues, our colours and for­mu­las beau­ti­fully suit all skin types and tones. Vas­anti Cos­met­ics aims to encour­age women to cel­e­brate and enhance their nat­ural beauty. I totally give this com­pany a HUGE thumbs up, and rec­om­mend them to everyone!! The very kind and gen­er­ous folks over at Vas­anti Cos­met­ics have gra­ciously offered to give 1 very lucky Cool­Canucks reader the chance to win their famous hot-selling Vas­anti EYE WONDER triple action eye treat­ment cream, or as I call it … ‘Mir­a­cle Cream in a Jar”!! Plus!! 1 hot tube of the Vas­anti Lip­stick in “Kenya” — just like mine! SWEET!! 1) Head on over to Vas­anti Cos­met­ics and check out all these great cos­met­ics! Please let me know what you would love to own from all of the fan­tas­tic prod­ucts on their website? Fol­low @coolcanucks and @VasantiCosmetic on Twit­ter! Leave me your twit­ter name! Become a Fan of Vas­anti Cos­met­ics on Face­book and leave a com­ment on their wall that you came from Cool­Canucks! Pur­chase from Vas­anti Cos­met­ics for the dura­tion of the give­away and get 10 extra entries!! Just tell me in a comment! A HUGE thank you to Vas­anti Cos­met­ics for spon­sor­ing us with this GREAT Con­test here at CoolCanucks!! BHCos­met­ics is a fan­tas­tic cos­metic com­pany that offers con­sumers makeup for less. Their makeup line has a vari­ety of palettes that includes a 120-palette and an 88-palette. BHCos­met­ics was kind enough to send me the 120 Eye­shadow Palette, 1st Edi­tion to try out and review. This par­tic­u­lar palette is $29.95, which is an amaz­ing deal. Each shadow is about the size of a dime, which isn’t super big, but it will still last a long time. I’m really for­tu­nate to have come across BHCos­met­ics, whose entire phi­los­o­phy is sav­ing their cus­tomers money. With BH Cos­met­ics, the real­ity of hav­ing many, many great eye­shadow col­ors to choose from with­out look­ing at a com­pletely depleted bank account is surely within reach. I also really love their 88 Color Cool Shim­mer Palette, which con­tains an abun­dance of shades with an added bit of sparkle. The price? $24.95. That is awe­some!! Also, all BHCos­met­ics eye­shadow is highly pig­mented, so it has quite the stay­ing power, which is great so you don’t have to keep run­ning to the ladies room every other hour to check on your makeup and touch up. BHCos­met­ics has quite the array of color palettes for foun­da­tion, blush, lip color and eye­shadow and their eye­shadow palettes are amaz­ing. All of their prod­ucts are very high qual­ity and they are being sold for less than whole­sale prices. That makes me very, very happy, espe­cially when I saw that the most expen­sive palette they stock is only $34.95 and you get 120 eye­shadow colors!! The 120 palette comes in all shades of the rain­bow. It even comes in the color red, from which I under­stand, is a really hard color to find. The white is also very pig­mented and is a great high­lighter for brow-bones. Bright col­ors such as pinks, yel­lows, oranges, greens and blues have such an amaz­ing qual­ity and they are all very blend­able which any­one into makeup would love. Pearl Lus­tre Mica Pow­der, Mag­ne­sium Stearate, Sil­i­con Oil, Tita­nium White Powder. I give BHCos­met­ics a huge thumbs up, and rec­om­mend them to every­one! Their cus­tomer ser­vice skills as well as deliv­ery time were also beyond outstanding! 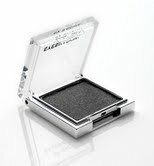 The very kind and gen­er­ous over at BHCos­met­ics have gra­ciously offered to give one very lucky Cool­Canucks reader the chance to win a 120 Eye­shadow Palette, 1st Edi­tion as well!! SWEET!!! 1) Head on over to BHCos­met­ics and check out all of their won­der­ful prod­ucts! Please let me know what you would love to have! Fol­low @coolcanucks and @BHCosmetics on Twit­ter! Leave me your twit­ter name! Become a Fan of BHCos­met­ics on Face­book and leave a com­ment on their wall that you came from Cool­Canucks! Pur­chase from BHCos­met­ics for the dura­tion of the give­away and get 10 extra entries!! Just tell me in a comment! A HUGE thank you to BHCos­met­ics for spon­sor­ing us with this GREAT Con­test here at CoolCanucks!! I received one or more of the prod­ucts men­tioned above for free using Tomoson.com. Regard­less, I only rec­om­mend prod­ucts or ser­vices I use per­son­ally and believe will be good for my read­ers. I am dis­clos­ing this in accor­dance with the Fed­eral Trade Com­mis­sions 16 CFR, Part 255 Guides Con­cern­ing the Use of Endorse­ments and Tes­ti­mo­ni­als in Adver­tis­ing. Tomo­son Prod­uct review & give­away Disclosure. Sarah Waller started Sweet Lib­er­tine Min­eral Cos­met­ics on Feb­ru­ary 14th, 2009. Unsat­is­fied with the qual­ity and price of high-priced cos­met­ics, she spent months try­ing to find a bet­ter option. It wasn’t long until Sarah was mak­ing her own eye­shad­ows, blend­ing col­ors and micas and oxides. Her friends heard about it and asked her to list some in her Etsy shop and she did – and the entire store sold out within an hour. Sweet Lib­er­tine con­tin­ued to grow over time and is now run by Sarah Waller and her hus­band, Justin. What I like about Sweet Lib­er­tine is that they blend most of her own colours. The names of the prod­ucts are absolutely awe­some. I love the humour and wit behind the business!! I had the oppor­tu­nity of being able to review Sweet Lib­er­tine Shad­ows, I really liked the shad­ows. A prob­lem I have with a lot of min­er­als is that they tend to get muddy/cakey on my lids right away. These colours kept an excel­lent level of iri­des­cence and clar­ity through the work­day. As with any min­eral shadow, primer is a must! I give Sweet Lib­er­tine a huge thumbs up! Shop­ping online with them is a com­plete snap as every­thing you are look­ing for is so neatly categorized! You can shop inex­pen­sively by click­ing here for their website. Earth Diva Cos­met­ics is an exclu­sive min­eral makeup brand. Their exten­sive nat­ural cos­metic line includes Foun­da­tion, Bronzer, Blush, Set­ting Pow­der, Eye shadow and Eye­liner. Earth Diva’s qual­ity cos­metic brushes are vegan & cruelty-free. All prod­ucts are & cer­ti­fied! Earth Diva Cos­met­ics LLC con­tains 100 per­cent min­er­als as well as qual­ity, cruelty-free cos­metic brushes. our pores and into our body’s cir­cu­la­tory sys­tem. It is impor­tant that our skin can be nour­ished from the out­side; how­ever, we must be cau­tious about the ingre­di­ents in our skin care prod­ucts. Why Earth Diva Min­eral Make-up? Pro­vides Excel­lent Cov­er­age, light­weight and long-lasting. I had the extreme plea­sure of being able to review Earth Diva Cos­met­ics Min­eral Set­ting Pow­der in Sheer and it is just sim­ply amaz­ing!! Apply­ing Earth Diva’s set­ting pow­der pro­vides a smooth, Matte, “fin­ished” look to your skin. Set­ting pow­der can be applied alone or on top of your min­eral foun­da­tion for that flaw­less look that every­one wants and desires! I give Earth Diva Cos­met­ics a Huge thumbs up, and rec­om­mend this great com­pany to everyone!! 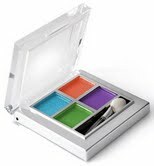 The very kind and gen­er­ous folks over at Earth Diva Cos­met­ics have gra­ciously offered to give 1 very lucky Cool­Canucks reader the chance to win a com­plete min­eral eye­shadow kit (includes 4 eye­shadow col­ors of choice and two brushes) SWEET!! 1) Head on over to Earth Diva Cos­met­ics and tell me what product(s) you would most love! Fol­low @coolcanucks and @EarthDivaMakeup on Twit­ter! Leave me your twit­ter name! Become a Fan of Earth Diva Cos­met­ics on Face­book and leave a com­ment on their wall that you came from Cool­Canucks! Pur­chase from Earth Diva Cos­met­ics for the dura­tion of the give­away and get 10 extra entries!! Just tell me in a comment! A HUGE thank you to Earth Diva Cos­met­ics for spon­sor­ing us with this GREAT Con­test here at CoolCanucks!! Sacha Cos­met­ics began in the year 1979 and were estab­lished in Tobago and Trinidad. The bril­liant gen­tle­man behind this com­pany is Kama Maharaj, who is the founder of Sacha Cos­met­ics. Within the Caribbean mar­ket, Sacha Cos­met­ics was designed and it’s almost thirty years before. This cos­metic whole is good for every skin tone ladies and offers out­stand­ing make-up line. The fore­most prime goal of this com­pany is to form won­der­ful makeover with the right foundation. Foun­da­tions offered by Sacha Cos­met­ics are com­pletely out­stand­ing and have the power to fit your skin just per­fectly. This foun­da­tion will not give you dull look and will not make you col­or­ful. All Sacha Cos­met­ics are made by expert chemists those have found the right kind of shade that will match every skin. There are also fan­tas­tic makeup tones that will enhance your beauty and will make you look oh-so nat­ural. Many worlds’ beau­ti­ful women have tried cos­metic prod­ucts from Sacha and it made them highly famous! This cos­metic com­pany was the offi­cial sig­na­ture of Miss Uni­verse 1998, Miss Uni­verse 1999, Miss Uni­verse 2000 and Miss U.S.A 2000. Many men and ladies mod­els in each fash­ion show use Sacha Cos­met­ics. These phe­nom­e­nal eye shad­ows can take your look from demure to dra­matic, and any­where in between! Eye shadow is per­haps the most beloved cos­metic out there. Since eyes is the most impor­tant focal point of the face, the eye makeup tech­niques and choice of colours for eye shadow should suit the shape and colour of your eyes. The most impor­tant trick to keep in mind is that the light colours high­light the spots while dark colours tame them down. The first step in apply­ing the eye­shadow is to apply a neu­tral con­cealer that matches your skin tone on the eye­lid and then sweep the light­est shade over the entire area from the lash line to the brow line to cre­ate the smudge resis­tant base. I give Sacha Cos­met­ics a HUGE thumbs up and rec­om­mend these fab­u­lous cos­met­ics to everyone!! The very kind and gen­er­ous folks over at Sacha Cos­met­ics have gra­ciously offered to give one very lucky Cool­Canucks reader the chance to win these exact same 4 eye shad­ows that I was sent to review! SWEET!! You will be just as impressed with them as I am, be assured!! 1) Head on over to Sacha Cos­met­ics and check out all these great cos­met­ics! Please let me know just what you would love to try from there, other than what I mentioned! Fol­low @coolcanucks and @SachaCosmetics on Twit­ter! Leave me your twit­ter name! Become a Fan of Sacha Cos­met­ics on Face­book and leave a com­ment on their wall that you came from Cool­Canucks! Pur­chase from Sacha Cos­met­ics for the dura­tion of the give­away and get 10 extra entries!! Just tell me in a comment! A HUGE thank you to Sacha Cos­met­ics for spon­sor­ing us with this GREAT Con­test here at CoolCanucks! !